Hacked images of UChicago's Twitter. Images via Asya Akca. 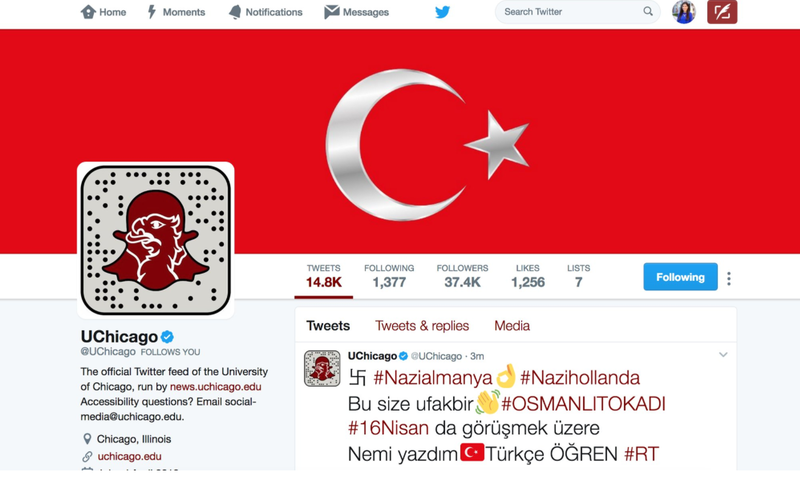 On the eve of critically important Dutch elections, and just over a month before a referendum in Turkey, the Twitter account of the University of Chicago was hacked. On the surface, these events all seem to be completely unrelated, but it is likelier than not that this hacking was a direct outcome of a diplomatic feud between the Netherlands and Turkey. Hacked images of UChicago’s Twitter. Images via Asya Akca. In the Netherlands, Geert Wilders is the leading right-wing populist, whose party has seen its standing slip in recent days leading up to the election. There is speculation that this is due in large part to the way Dutch Prime Minister Mark Rutte handled a diplomatic flare up with Turkey. Tensions shot up when the Netherlands banned two Turkish ministers from traveling in the country. Family and Social Policies Minister Fatma Betul Sayan Kaya and Turkish Foreign Minister Mevlut Cavusoglu had intended to attend rallies for the country’s Turkish population in support of a controversial constitutional referendum set to take place in Turkey. But Kaya was prevented from entering a diplomatic compound and eventually escorted to Germany, while Cavusoglu was barred from landing in the Netherlands. 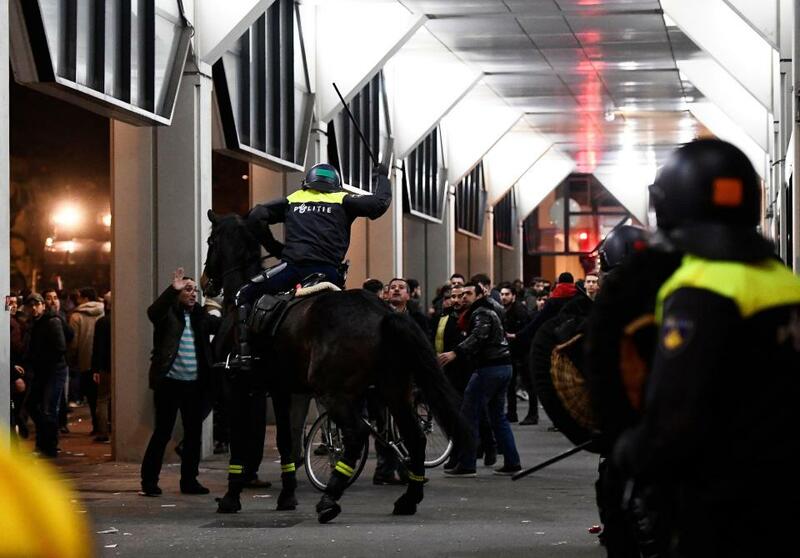 Protests in the Netherlands. Image via Reuters. All of this context helps explain the UChicago connection, to an extent. 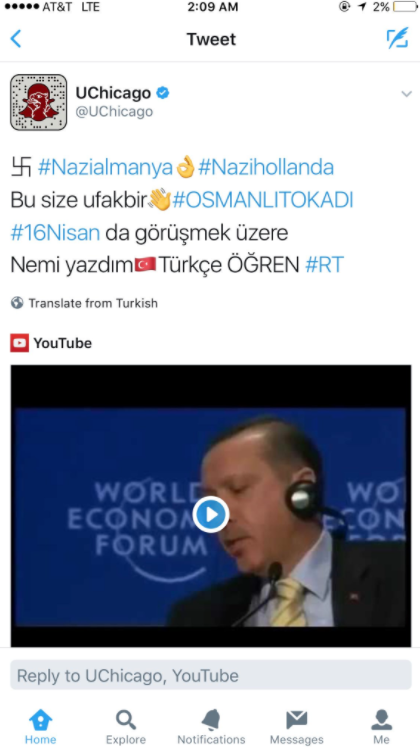 In the middle of the night, the university’s Twitter account was hacked to display pro-Erdogan materials. Additionally, the cover photo was changed to a Turkish flag. UChicago is not alone in being hacked. Forbes, actress Sarah Shahi, Amnesty International, and others were also hacked with the exact same message posted. Since the tweets were posted in the middle of the night, the university’s social media team was asleep, and students, led by Asya Akca, who noticed the tweets led an effort to report them to Twitter, which took them down. The university has since issued a statement, and I have been told the school is cooperating with the police to figure out what happened to its account.